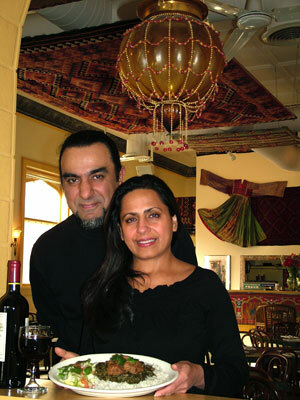 Emel and Masooda Sherzad, owners of the Khyber Pass Café recently celebrated their 27th anniversary in business. The Café is situated next to Dunn Brothers coffee shop at Snelling and Grand, and has been in its current location for the past 12 years. It was previously located on St. Clair Avenue.